Source of the 2nd Leopard MacBook Sleep Issue? Looks like an observant Maccst listener, Fred, may have found the source of that secondbMacBook Pro wake from sleep issue I told you about on the last show. Despite the recent patch from Apple, many of our listeners were still experiencing a problem with their MacBooks where the trackpad and keyboard would become unresponsive after waking from sleep. Fred discovered that in his case his Remote Buddy software (a great app that I have recommended on the show before) may be causing the issue. He wrote the developer and sure enough there seems to be a bug in OS X’s handling of the USB bus when waking from deep sleep. If you want to know all the down and dirty facts there is this post up on the Remote Buddy support forums. In my understanding is that there appears to be a bug in the IOKit with connections made using the IOUSB*UserClient. 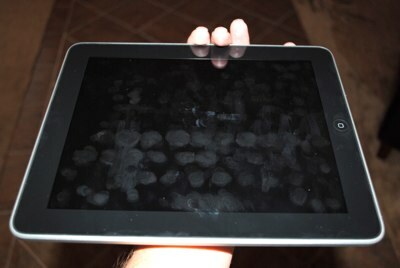 This issue seems to effect the newer “Santa Rosa” (I still hate this term as it is technically not correct) MacBooks. In these models the USB bus for the internal trackpad and keyboard is shared with external ports. When waking from sleep OS X goes through the USB bus and re-establishes it’s USB connections. The issue is the timing of events. If a 3rd party app makes a call to reset the USB bus at the wrong moment during this process, it may inadvertently lock-up the IOUSBController rendering the USB ports, internal trackpad, and built-in keyboard unresponsive. Annoying, but should be relatively easy to patch in the next OS X update. For now the workaround would be to turn off deep sleep mode or to un-install any 3rd party apps that may be triggering the issue. The lesson… always check Apple.com right BEFORE encoding and posting the latest Maccast. Thanks Apple. 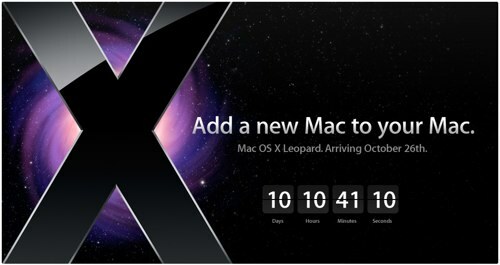 Looks like ifoApplestore and the other rumor sites were right when they claimed to have confirmed October 26th as the launch date for Leopard. See you at the Apple store in about 10 days, 10 hours, 41 minutes, and 10 seconds. Just in case you haven’t noticed, Maccast.com is feeling the pressure of some heavy activity from DIGG. This is awesome, but obviously unexpected. I have ordered some more processing power and memory, but it won’t be added until early tomorrow morning. This is just heads up to let you know that until then the site performance may be a bit spotty and you may even see the occasional error. Of course, there will also be a brief outage around 10:00 AM PST tomorrow while we upgrade the server. Sorry for the trouble. 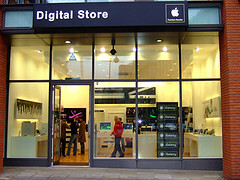 A couple shows back I told you about the Apple Digital Store in Manchester, UK which opened just this past weekend. Well, listener Peter was kind enough to checkout the UK’s newest independent Apple store and sent in his thoughts and the photos below (check ’em out on Flickr). As you can see the store is small but, as Peter points out, very well designed. 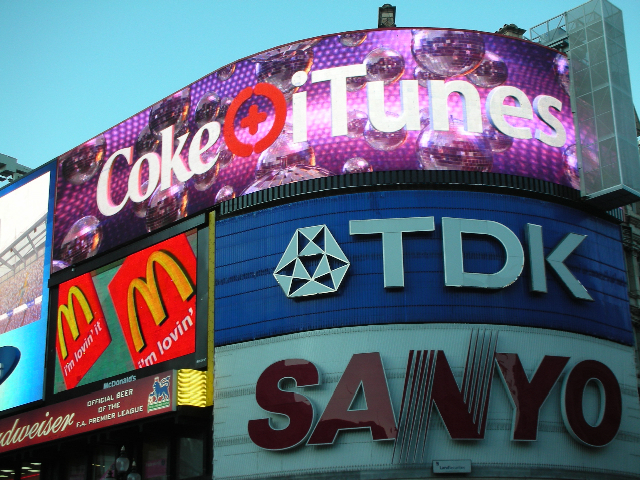 It is situated right in the heart of Manchester and has all the Apple products any Mac Geek could want. Plus, the staff seems to fit the Apple hipster bill too. Peter says he found the staff extremely knowledgeable and helpful and notes they plan to distinguish themselves from the Apple Retail Stores by offering cheaper upgrades and great financing options. If you happen to be in the area this store looks like it definitely warrants a visit.